These are words your children used to describe homework from the homework survey that was sent home last week. For our range of learners, there are ranges of responses! Some students have a positive attitude towards homework, some negative, and others, indifferent. *How long do they usually take to complete their homework? Is it a reasonable amount of time? If not, WHY? *What could you both do to make homework go smoother? Make a list and write it out if you need to! 4th grade is an important year for children to become more independent students. One way the 4th grade teachers are working with students to practice and learn independence is through homework. Your children are in a time of transition with homework, moving away from receiving a packet that they complete over a week, and moving towards working on weekly assignments that they turn in once a week, and nightly assignments that they need to turn in the following school day. o Treat materials (notebooks, paper, etc...) properly and TAKE PRIDE IN YOUR WORK! One hour to an hour and a half is what we deem to be a reasonable amount of time for 9 – 10 year olds in 4th grade to spend on school homework. We'll be talking about time management A LOT in class this week, and I've broken down some approximate times allotted for each subject area each night. Every kid is different and has different needs -- this is just a basic guide for what we feel is reasonable, taking into account after school activities, etc. The hour (give or take) can be broken up in whatever way works best for your family/4th grader. Business: 2-3 minutes as needed. *PLEASE review and sign papers that need to be returned by the deadlines. *Start off the homework routine by checking in with your child to find out exactly what their homework is. They record their homework in a black & white composition book each day in class. If needed, ask them what a reasonable amount of time is to complete each task, and have them jot it down. For students who need extra time management support, break the assignments down into one thing at a time, and check in with them after 20 minutes of reading, and remind them to take 5 minutes to complete their reading log. Setting a timer is another way to foster independence. *Incorporate some homework into transitional times, like going to school. This is a great time to check in with your child’s automaticity of math facts or Words of the Week. Turn it into a game! *Talk with other families and ask how the homework routine works in their home. Share ideas! *If your child is breezing through homework assignments, encourage him/her to go above and beyond. Suggest they take it to a higher level, which demonstrates a deep understanding of the assignment and above and beyond effort. *If your child struggles with handwriting, let homework be a place that they concentrate on improving legibility. Homework that is handed in illegibly will not be graded or posted. Making a promising homework plan with your child will be the foundation of your child’s homework routine for the rest of the year, lets hope for a successful year of homework for your child! * All handouts focus on community building in the classroom – learning about “Attentive Listening,” how not to waste time, rules, logical consequences, and logical rewards. What sound and spelling pattern do you notice with 3 of the WOW words? Just wanted to give you an update on what has been happening in class 408 the first few weeks of school and what our goals will be for the upcoming week of September 25th, our 4th week of 4th grade. Trey Moynihan, our class parent will be assembling a class contact list for all of us. Please let us know if you do NOT wish to be listed. Our first field trip to the National Museum of the American Indian was wonderful. Be sure to ask your child to describe the Hoop Dance performance we saw to you! Our next trip is Wednesday 9/27 to 826 NYC to learn some storytelling techniques. I need chaperones for the 826 NYC Trip. I received lots of great feedback from the 4th grade homework survey from parents and students. I will be sending a separate letter specifically about homework. We have a wonderful class of caring students who are enjoying playing and socializing with one another. Unfortunately the playing, socializing, and chatting is seriously interrupting our class meetings, lessons, partner work, and independent work times. There has also been teasing and name calling happening, and it has been distracting us from our work and from having a peaceful and trustworthy classroom community. We will also finalize classroom rules the children brainstormed and make a list of logical consequences for not following the rules, and a list of rewards for doing great work. We will work on these goals through whole group and partner activities that encourage team building. There will also be nightly independent homework assignments for each student to reflect on what they can do as individuals to help our class be a peaceful and successful community. I am looking forward to parental support on this. We have a lot of content to cover this year, and we can’t do it successfully unless each student takes his or her role in how to be the best student they can be seriously. All supplies are part of a class pool of supplies. My student teacher Melanie and I had 100’s of notebooks, folders, ect., to sort through and organize to make sure that every student had the supplies they needed to get started. It was an overwhelming task. If your child had any “special supplies” that were overlooked, I am sorry. Hopefully this won’t occur again with any “special” supplies moving forward. Thanks for understanding. Here's to a successful week ahead! Just wanted to thank you all for visiting NMAI yesterday. I hope you had fun and learned a lot that you didn't know about Native American life and culture. The local cable news channel, New York 1 News, did a really fun piece on the museum, featuring the Hoop Dancers you saw and you all look terrific!!! Thanks again for coming down to visit and be sure to tell all the other 4 graders at PS 261 that we're looking forward to seeing them in December. Also Thank you Trey (Zora's Mom), Aba (Zuri's Mom), and Natasha (Darean's Mom) for joining us! Trips are a way to excite students, enhance learning and approach learning in a hands-on way. Trips are vital to the curriculum - especially social studies. The days of boring textbooks are over and learning about our world is vital to the creation of active citizens. Each month we will go on at least one trip. We will try to keep costs minimal but be prepared; there will be a slight charge. If you ever meet with financial difficulties, we understand and have had hard times too - just let me know. Please send in the trip slips and payment in as quickly as possible so the morning of the trip runs smoothly. It is important to leave the building relaxed, prepared and ready to learn. Our trips are learning experiences; please don’t use them as a form of discipline. Students who do not attend trips are at a disadvantage; the trip is the schoolwork for the day and cannot be duplicated. We have planned trips as carefully as we have planned our daily schedule. Please try to join us on trips this year! Our first trip is an exciting one. We have been invited to be the first class to view a brand new exhibit at the National Museum of the American Indian in downtown Manhattan. This will be a press event, so we may be interviewed by reporters as well. The exhibit is called, “Beauty Surrounds Us.” Native peoples of the past and present have always surrounded themselves with things of beauty, and this exhibit showcases everyday objects - clothing, tools, musical instruments, and games - that were not only functional, but pleasing to look at. As part of the opening event, we will see a Native Hoop Dance performance, tour the exhibit with our eyes and ears, and be able to touch some artifacts. This trip will serve as an introduction to our Social Studies unit on Native Americans. Please return the permission slip ASAP! We have a late lunch this year – 1:20 pm! So it’s important to keep our brains fed during the day. We are asking each family to take the responsibility of providing snack and beverages for the entire class (28 students) for one week (to start- we may have to cycle through again). 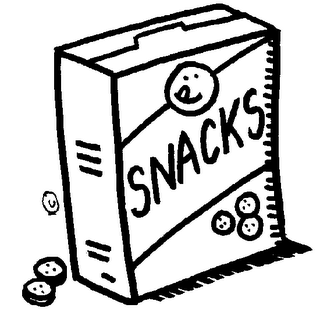 Some ideas for healthy snacks: pretzels, applesauce, fruit cups, granola bars, jello, crackers, graham crackers, string cheese, go gurts, fruit roll-ups, fresh fruit or veggies (no prep. required). PLEASE AVOID FOODS WITH NUTS. You may also be asked to provide paper goods (cups, plates, napkins, paper towels, etc) when it is your week for snack. We will send out individual reminders the week before it is your turn. Monday is the first day of our new homework routine. Since I will be out on Monday I sent the homework home on Friday to help you as a family review the homework in advance. I know there will be lots of questions and adjustments to homework this week. So if you or your child is confused about homework, please bring your questions in. We will spend some time each day this week talking about the homework. Reading: Each night your child is expected to read for 20 minutes (this can be silent reading or have your child read aloud to someone). They are also expected to fill out a nightly reading log. The reading log will be handed in each day this week to help develop this routine. Once this routine is established, reading logs will be due on Fridays. Writing: Monday night students will decorate their Writer’s Notebook and bring it into school on Tuesday. Other writing homework this week will be making jots in their Writer’s Notebook. Writing Notebooks travel to and from school each night there is writing homework. Math: This is our first Math Challenge of the Week – your child will have a couple of problems to choose from and do at home. They must do the problem, show and write how they did it with words and a drawing (or graph, etc. ), and write a reflection. This is due on Thursday. I attached a Grading Rubric with the homework. This Rubric is to show how the math homework will be graded. Maureen will fill this out. Monday: Review the problems. Pick one problem you would like to do, think about what supplies you will need, and bring any questions you have about the problem to share with Maureen and the class on Tuesday. Math Facts: Your child should practice math facts every night. They should know their times tables up to 10 as well as they know how to spell their names! If you child already knows their tables up to 10 – then move them up to the 12’s – or see me for other math supplemental homework ideas. If you need help with establishing a way to review math facts at home come see me. Social Studies: We have our first Social Studies project homework this week. It is to generate excitement about the topics we will study this year, and to get an assessment on what the children already know and wish to learn about. It is designed to be an open-ended and fun project. There are many choices here for your child to choose from. If there is any confusion about the assignment bring your questions in. I also have construction paper, books on our topics and other supplies if you need them. Monday: Review the project. Pick one topic, question, and project you would like to do. Think about what supplies you will need, and bring any questions you have about the project to share with Maureen and the class on Tuesday. Word Work: Each week I will send home a few words to learn. These will be a mix of high frequency spelling words, vocabulary words, and spelling patterns we are studying. We will have a short spelling quiz each Friday. Your child should study these words for a few minutes each night. Business: Class business this week is returning forms I have handed out and a permission slip for our first field trip to the National Museum of the American Indian (COMING SOON). I will ask your child to write a personal reminder to bring back forms that are missing. How was your first week of 4th Grade? I am very excited about working with all of you. I hope you all had a wonderful summer and are looking forward to starting the fourth grade! We have a student teacher from Bank Street joining us this fall, Melanie Okadigwe. She previously worked at Scholastic in the children's book club division as an editor before coming to join us at PS261. Welcome Melanie! Our class will be using this blog to help communicate school news, class happenings, publish class work, and distribute documents. Your children will become bloggers this year. Stay tuned for more news from class 408, it's going to be a great year!